One of the things that might be draining your wealth is waste. There are many different types of waste, from the things that you pay extra for, to the lifestyle choices you make that lead to waste — and wasted dollars. Reducing your waste can save you money over time, helping you build wealth. Here are some things you can do to get rid of waste in your life, and run your finances more efficiently. The first thing you need to do is look for waste in your life. What is going to waste? If you want to look for waste in your spending habits, track your expenses — even the cash. It’s easy to see how you’ve been spending your money when you use a credit or debit card. It’s a little harder when you use cash and you are wasting a dollar here and three dollars there. Don’t just identify waste with your spending, though. Look at other sources of waste. Are you leaving the lights on when you go out of the house? How much good do you throw out each week? Do you even read those magazines sitting on your coffee table. Write down these sources of waste as well. It’s important that you identify the waste in your life. 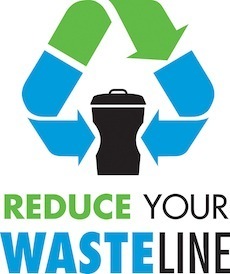 Now that you know where the waste is, you can start making changes to your lifestyle in order to avoid it. You will do better if you start small. You can reduce the electricity that you waste by switching to smart strips for your plugs. You can also work to remember to turn off the lights. Other small changes might be starting out by brown bagging your lunch twice a week in order to avoid wasting money on eating out. There are a number of small things you can do to save money and reduce waste. Begin thinking of ways you can re-use items you would normally throw out. Can you avoid buying a new planter if you have the packaging from some large item you recently bought? Make these small changes first, whether it’s canceling one subscription you aren’t interest in, or buying a little less food this week. Once you are comfortable with the small changes you have made in your lifestyle, you can begin increasing your efforts. Do an entire energy audit of your home, and consider adding insulation to make it more energy efficient. Put together a detailed meal plan for the week and make a list so that you don’t through out food. Or, go through the effort of making freezer meals with extra food that you don’t want to throw out. Consider canceling all your unused subscriptions, whether it’s to the gym (you can work out at home for less) or even to cable TV. Find ways to ramp up your efforts to avoid waste. Little by little, you can reduce the waste in your life, and you might be surprised at how much money you’ve been wasting. It can really start to add up. You’ll spend less on food at the grocery store, save money on utilities each month, and you’ll find yourself buying fewer unneeded items. Keep track of how much you are saving as you reduce the waste in your life. Bank those savings, and put them to work for you. You will only be able to effectively improve your situation when your money is working for you over time. Put the money you save in a high yield savings account, augment your emergency fund, or even invest it. With the help of compound interest, your waste could easily be turned substantial gains over time. Clothes hung to dry, no water for the lawn (we pay for every drop used), sweaters and slippers in the cold Canadian winter because the temperature is set just a little bit cooler, limit electricity use to low rate times, thinking about reducing or repurposing or doing without 24/7 all the while hoping the fractions of pennies saved will form a large enough pile to cushion retirement. Every point you made in this post is valid. I couldn’t agree nor add anymore to it.